Viewing recommended, EPC Rating F37. 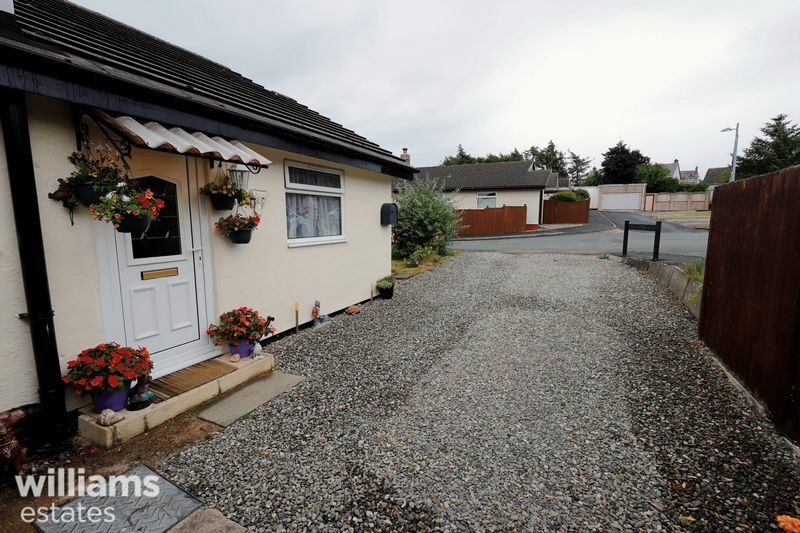 Williams Estates are proud to offer for sale this two bedroom detached bungalow in the well-favoured, semi rural area of Groes. 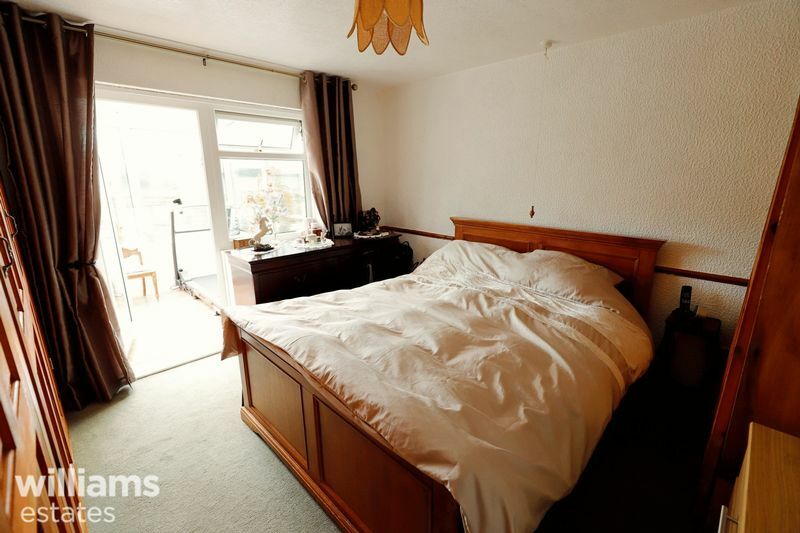 Accommodation briefly comprises of two bedrooms, living room, kitchen/ breakfast room, conservatory, bathroom and garage. 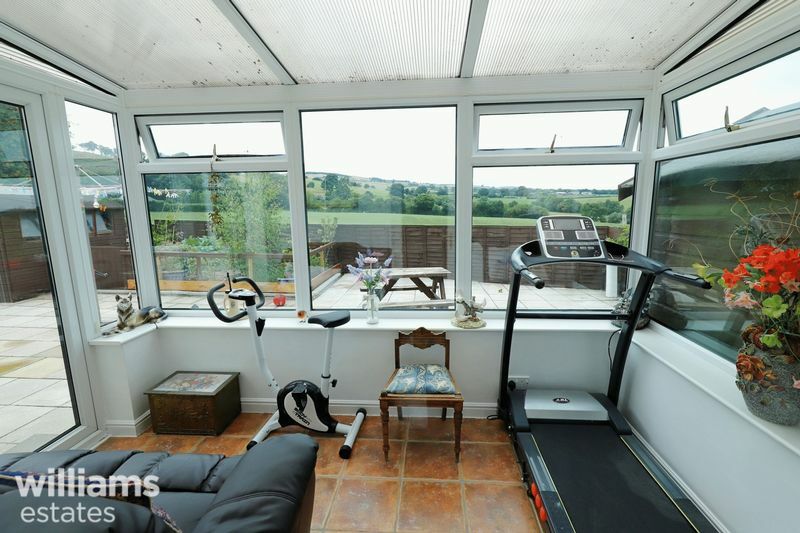 The property also benefits from off road parking, uPVC double-glazing, combination boiler and gardens to both front and rear. 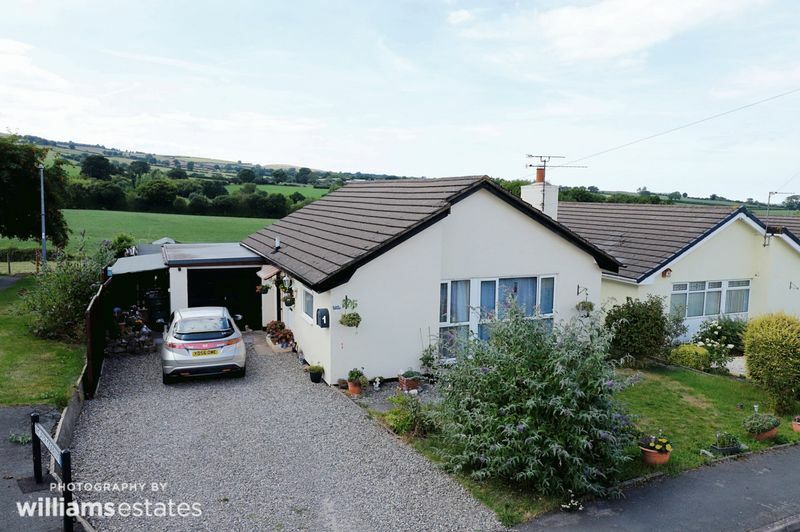 The property is situated approximately 3 miles from Denbigh, 13 miles from Abergele and 14 miles from Rhyl, allowing you to experience a rural setting, but still be close to local towns and amenities. 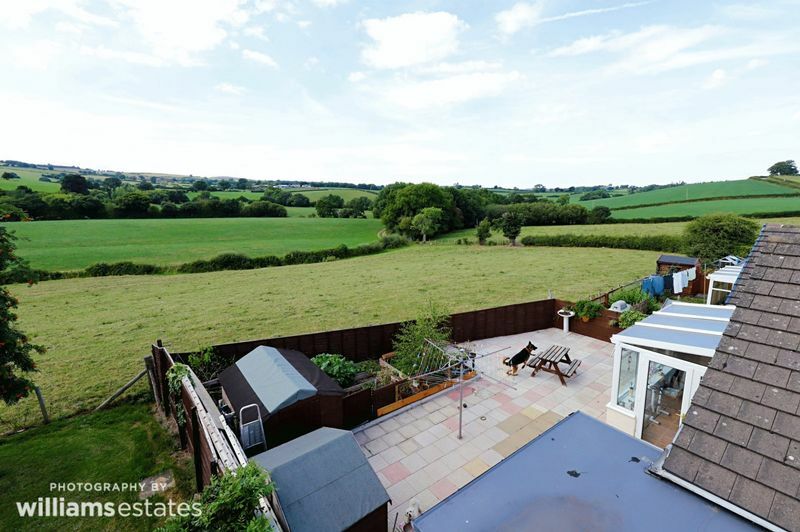 Land and stables available by separate negotiation. Must be viewed. EPC Rating F37. Having loft access, power points and radiator. 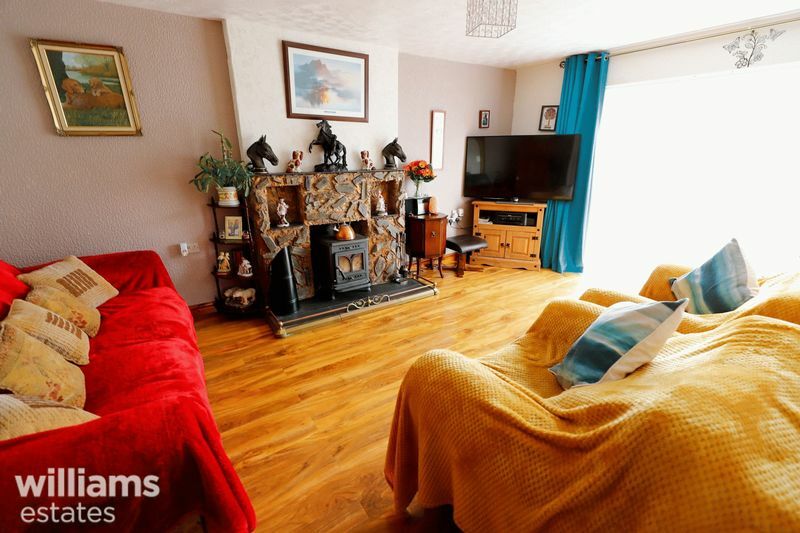 Having a feature fireplace with multi fuel stove set on a slate hearth, television and telephone point, power points, radiator and a uPVC double glazed window to the front elevation. 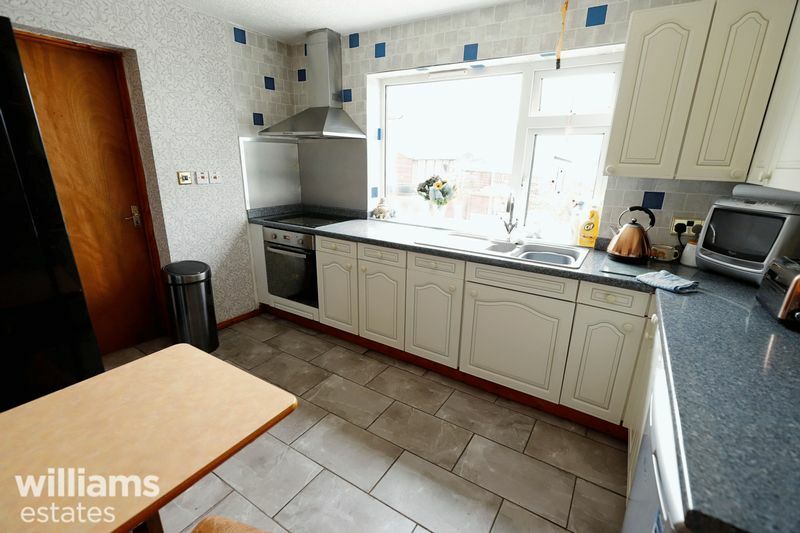 Comprising of a range of wall, drawer and base units with worktops over, tiled flooring, integrated electric oven with extractor hood over, four ring electric hob, radiator, power points, a uPVC double glazed window to the rear and door off leading to the garage. 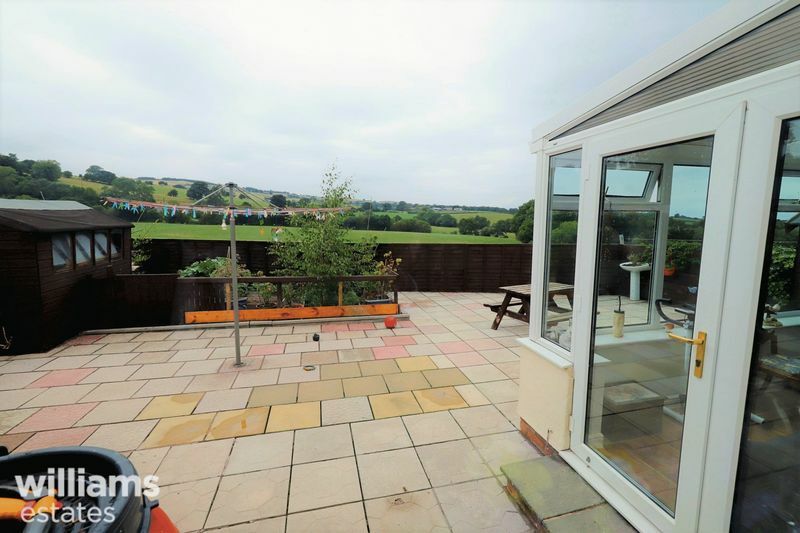 Having ceramic tiled flooring, power points, radiator, patio doors to side elevation and uPVC double glazed windows to sides and rear which offers fantastic views of the countryside. 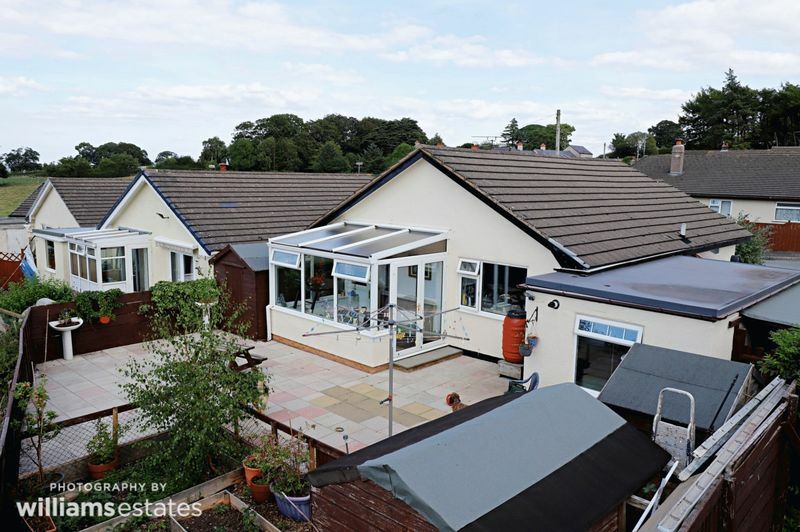 Offering built-in wardrobes, radiator, power points, uPVC double glazed window and door leading into the conservatory. 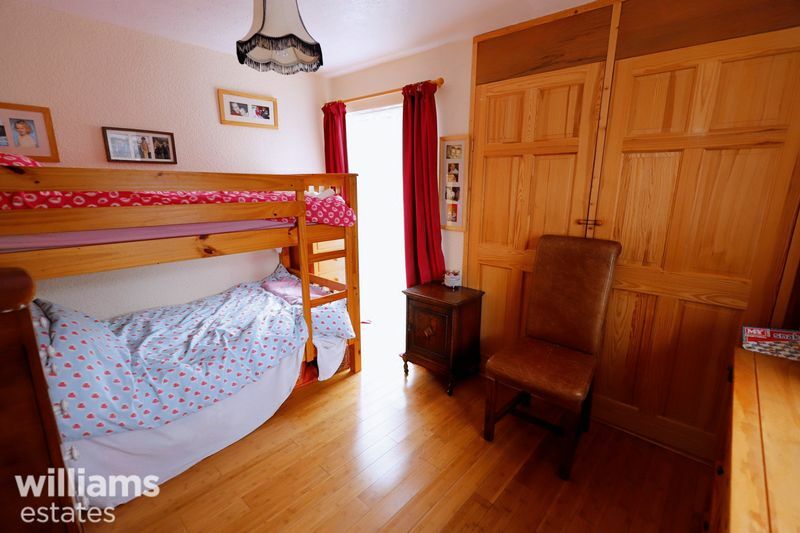 Having built in wardrobes, radiator, power points, vanity unit,uPVC double glazed windows to the front and side. 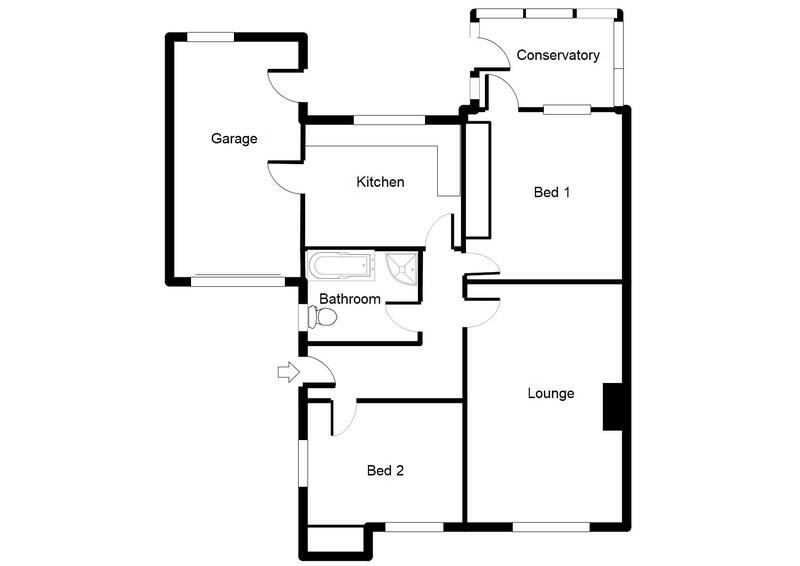 Comprises of a three piece suite, being a low flush WC, vanity wash hand basin and panelled 'jacuzzi' bath with electric shower over, wall tilin, corner single shower, and also offering ample shelving space, heated towel rail and a uPVC double glazed obscure glass window to the side elevation. Having an up and over door, wall mounted electric meter and fuse box, power points, plumbing for washing machines, 'Bosch' boiler, lighting and a uPVC door giving access to rear garden. 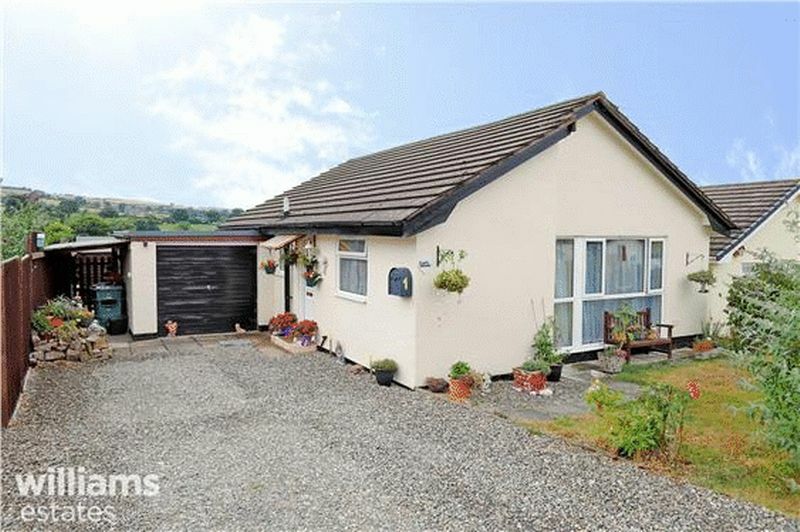 The front of the property offers a driveway providing off road parking, which leads up to garage and front garden. Front garden is mainly laid to lawn with shrubs in borders and mature trees to one side. A foot path gives access to rear garden. 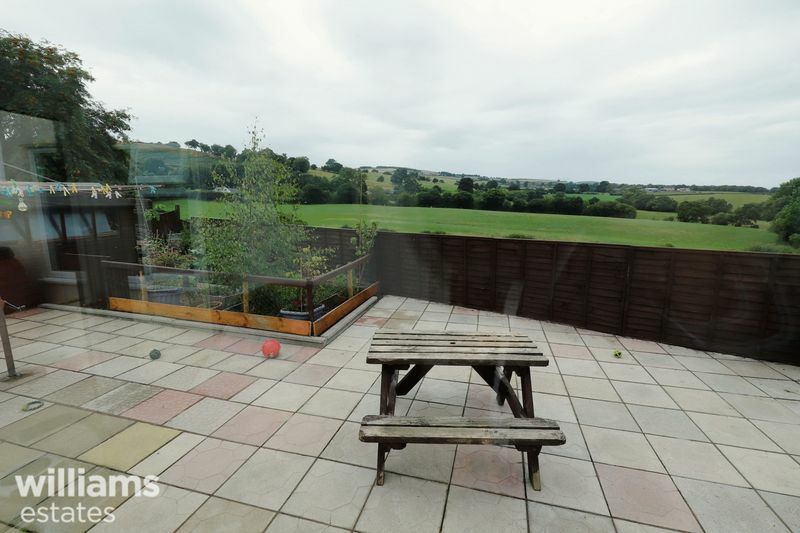 Rear garden is mainly paved with an enclosed vegetable patch and timber garden shed, also there is timber fencing to the rear. Proceed from Denbigh office right to Lenten pool roundabout. Taking the first exit passing Morrison’s on your left, continue along the road signposted Pentrefolaes. Proceed along for a number of miles until you approach the village of Groes. Upon entering Groes turn right signposted Henllan and then immediate left. Proceed and take the first turning on the right signposted Bronallt, leading to Caer Gofaint. Follow the road and the property can be seen immediately on the left hand side by way of for sale sign.